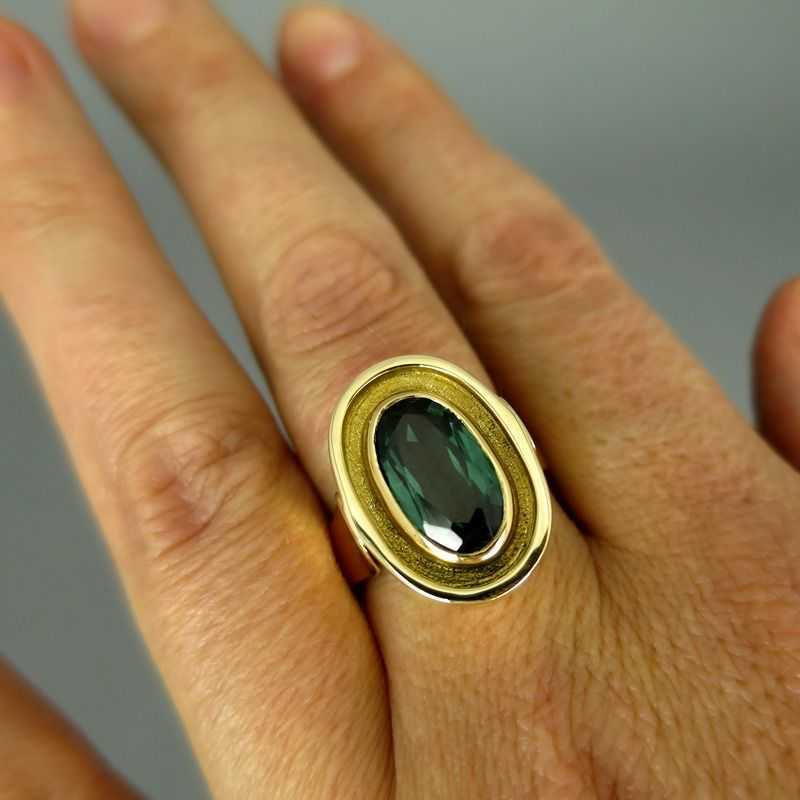 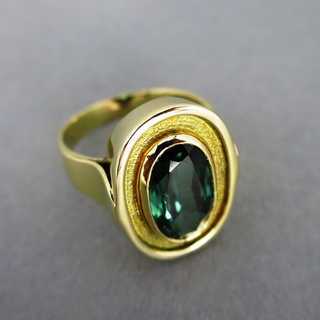 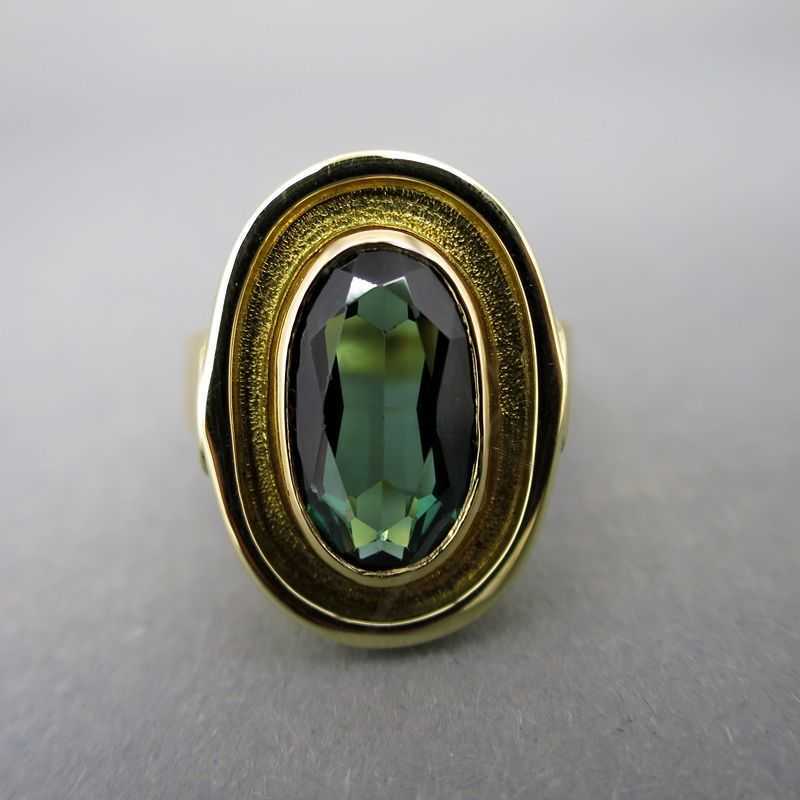 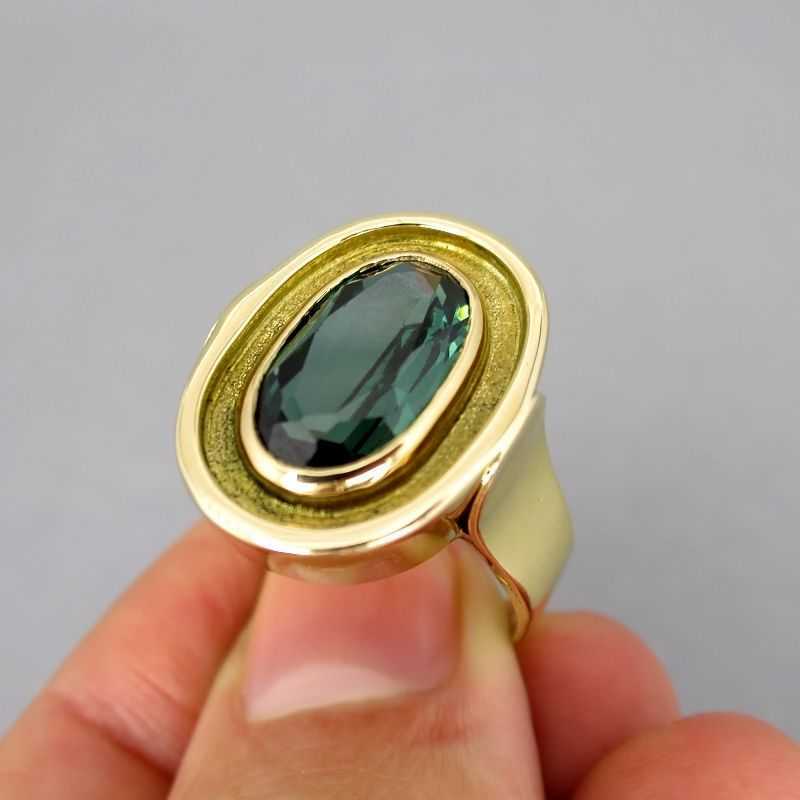 Beautiful lady's ring with a big tourmaline. 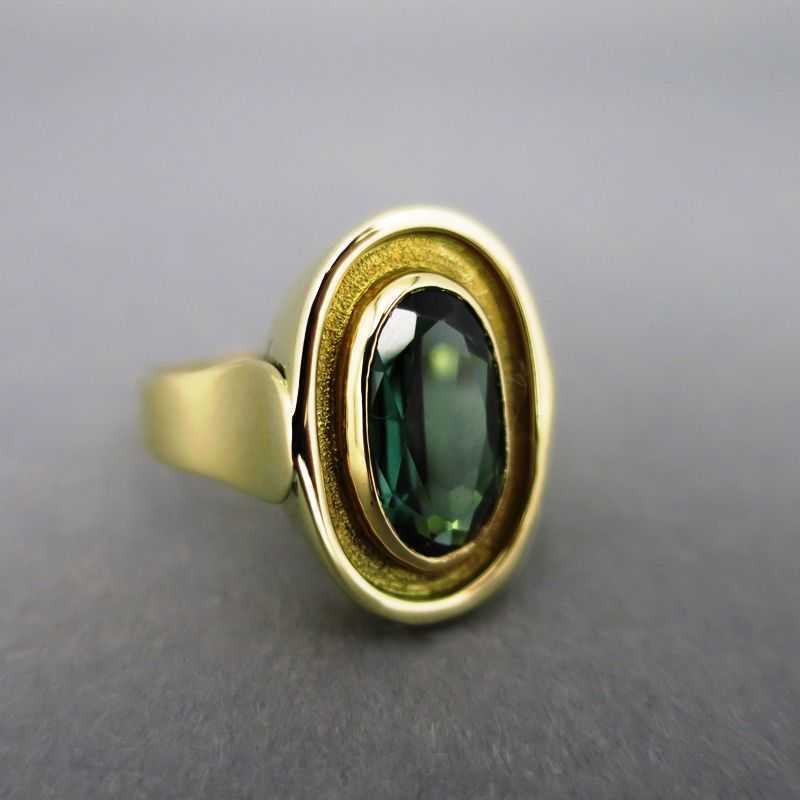 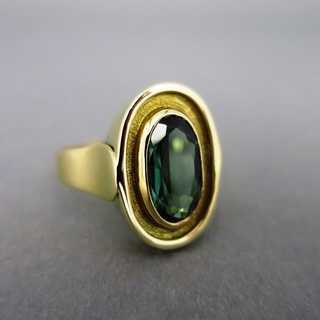 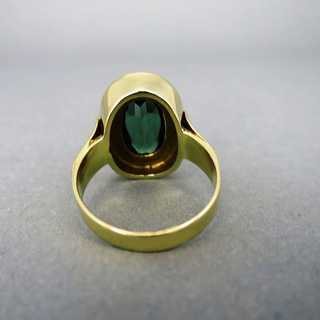 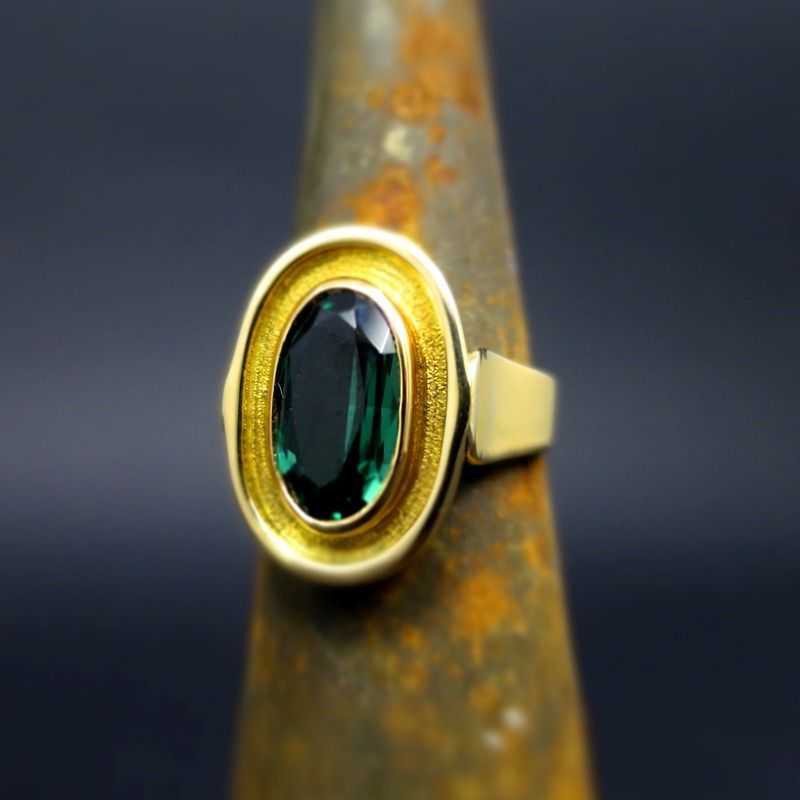 The oval, rich faceted green stone has a bezel setting, surrounded by a matt gold frame with contoured rim. 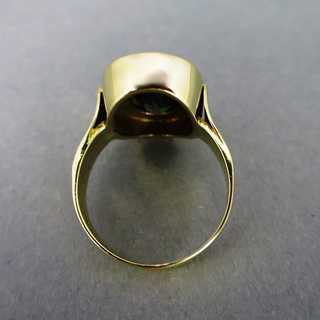 Wide, gradual rim for comfortable and safe wearing. 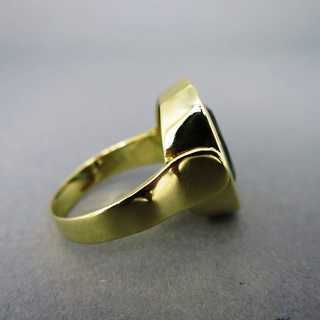 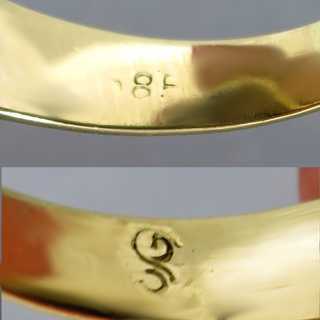 Marked, made by Georg Schlotter, goldsmiths master in Celle/Germany. Created in the 1970ies. Hand made unique goldsmiths work!